Deep sea divers go into the depths where the sun does not shine and there are extremes of cold. so how do they protect their extremities? Using a material called Neoprene. Neoprene holds in the warmth your body releases, reflecting the radiant heat back while insulating heavily. It also hugs, and supports and gives grip. Some genius spotted these properties and applied the Neoprene material to gloves. Some huckster decided to call them Miracle Therapy Gloves. Setting aside the Miracle bit, building up warmth in the hands and additional support is going to be a relief and very helpful for anyone in cold weather and particularly welcome for anyone with Raynaud`s, arthritis, carpal tunnel syndrome, rheumatism and circulation problems. A lot of us computer users get a touch of repetitive strain injury too from time to time and the Miracle Therapy Gloves are here to help. It is also very handy to have what double as grip gloves, think how useful these will be as a jar opener when opening a tight lid, or during diy, or when driving. Sports lovers will also benefit, not just from warmth, try catching a ball, gripping a golf club, or bowling with extra warmth and grip. 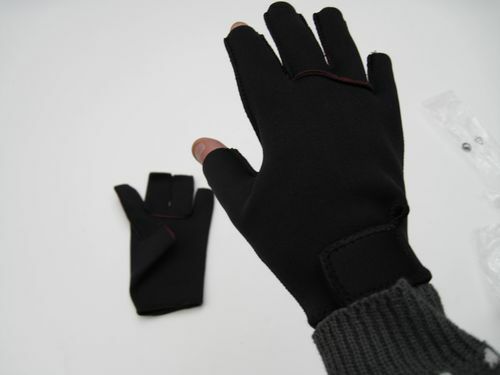 90 percent Neoprene, 10 percent Polyester, these Miracle Therapy Gloves leave your finger tips free so as not to get in the way of your daily activities and feature a strap to make then fit your hand like a glove. Miracle Therapy Gloves Men text, images and video are copyright.